Injuries happen! It’s extremely rare for someone to get injured under our coach’s supervision. Unfortunately, our coaches can’t be with you 24/7 and injuries do happen outside of the gyms in Scottsdale. Yes, getting injured is painful, but it doesn’t have to prevent you from staying on track and achieving your goals! First off, the best way to heal an injury, is to prevent it before it happens. Unless an accident occurs, it’s unlikely that you “just” got injured. Injuries happen over time from compensation, not taking care of your muscle tissue, and ignoring the warning signs. If you start to feel a reoccurring twinge, pull, tightness, or pain in the same spot, then there’s an issue. You’re probably not injured yet, but if you don’t do something about it, eventually you will be. So, what should you do to prevent an injury from occurring in the first place? Step one, ask your coach! We probably have a simple stretch or trigger point technique you can use to fix the problem. 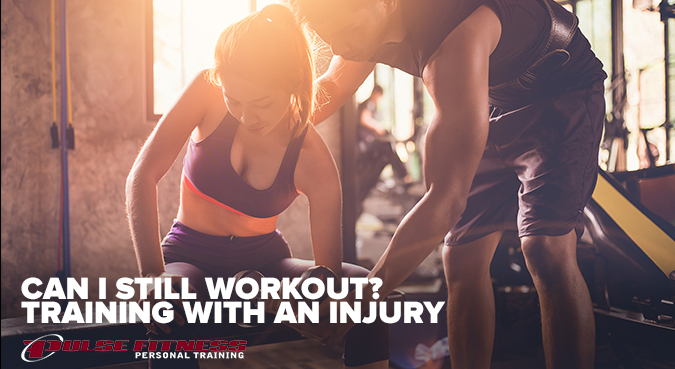 If not, your coach will tell you to talk to our Muscle Therapy Team in gyms in Scottsdale. Step two, listen to your coach! And step three, do what your coach tells you to do! It’s simple, take care of your body and it will take care of you. In conclusion, its easy to use injury as an excuse to quit working out in gyms in Scottsdale. However, you’re doing yourself a huge disfavor. Not only is it going to take you longer to recover, but everything you’ve been working towards is going to be lost. Returning back to your normal workout routine will seem like a daunting task after this and your less likely to start back up when you said you would.